A classroom is a microcosm of the universe, and a classroom is an excellent space to inculcate practices that can help students throughout their adult lives. As correctly pointed out by Henry Ford, Coming together is the beginning, keeping together is progress. Working together is success Students need to be made comfortable working in groups. It is true that learning can be meaningful only when the process is attuned to the needs, goals and strengths of a learner. 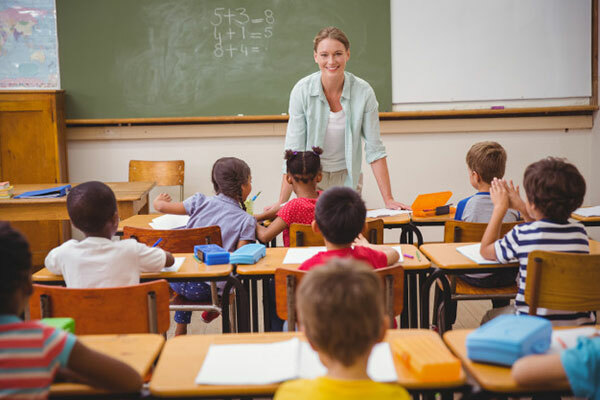 In fact, the focus of the present-day education system has shifted from a teacher-centric approach, where the teacher is the sole holder and diffuser of knowledge, to a more student-centric approach with each student being at the helm of their learning process. However, that in no way tries to promote an isolation of learners from their peers and their teachers. Students ought to understand early in their lives that individual goals fit in well within a larger set up, and can be furthered and enhanced through collaboration and engagement. Learners can critically understand their thoughts in close relation to the world of others to become practical problem solvers of tomorrow. Thus, adopting a collaborative learning approach could help teachers inculcate life skills and critical thinking skills in learners. Collaborative learning is an approach that involves two or more individuals coming together to understand a common learning concept and complete a common task. They bank upon each others resources, expertise and skills to fulfil the task. There is joint ownership of responsibilities and failures, if any. They work independently on different parameters and evaluate each others work to improve the quality of output. In a classroom ecosystem, a learner with a doubt could first approach their peers before going to teachers. Such an exercise is not to keep teachers away from students learning process, but to nudge learners to resort to their own collective wisdom as a community. This would encourage a student to understand and value their neighbours resourcefulness and give proper credit to them. Teachers could give challenging tasks to students in the classroom and ask students to work as a group. Students could see their tasks and thoughts getting challenged, and thus get an opportunity to think through the loopholes. Lets see how teachers could design an effective curriculum to facilitate collective learning. How to collaborate in a classroom? Phenomenon-based learning is a holistic approach that changes the focus of learning from individual subjects to phenomena, topics and events like energy, media and technology. Learning theories could lead to knowledge that is superficial. However, when life practices are within a pedagogical framework, learning could fulfil the purpose of raising responsible citizens. A teacher could assign a group of learners with an inter-disciplinary topic like the source of drinking and washing water in their area, and ask them to present on it. This would enable students to work independently and collectively. Discussion and collaboration within the team would help them develop their communication skills. Moreover, the benefits of phenomenon-based learning is not limited to collective learning, and is complemented by constructivist approach and enquiry-based learning. Further, hands-on activities can help students to learn in groups. Sharing equipment and other components could help them develop a sense of sharing resources in real life too. School excursions could help collaborative learning ventures as students interaction with peers would not be limited to academics outside the classroom. Celebration of Diversity: A small group of students could be culturally and socially very diverse and thus, collaborative learning projects could open up the world to learners as they begin to gain a new perspective on life from their peers. Students also get to reflect upon their lives and values against those of their classmates and learn to acknowledge differences without being critical. Interpersonal Development: In a group enterprise, it is essential that students learn to work with all types of people and relate to their peers so that the project at hand benefits from their structured interaction. Confidence, Communication: Collaborative learning projects at an early age can help students boost their confidence and self-esteem, besides improving their sense of ownership at work. The task of presenting their ideas, defending them, and collaborating with others to expand their horizons also requires good communication skills, which also get a boost in these activities. Establishing a culture of collaborative learning is not difficult. Neither is the process a resource-intensive one nor is assessing collaborative learning work difficult. A teacher needs willingness and an open mind to carry it out. Moreover, the availability of technology only makes collaboration easier. Students can connect with their peers on social media or through a learning management system. Among the many benefits of collective learning, the most important one is that it is able to fulfil the real purpose of education – nurturing responsible citizens who can collaborate with their fellow denizens to solve complex social, economic and political problems. The author is Beas Dev Ralhan,CEO & co-founder, Next Education India Pvt. Ltd.